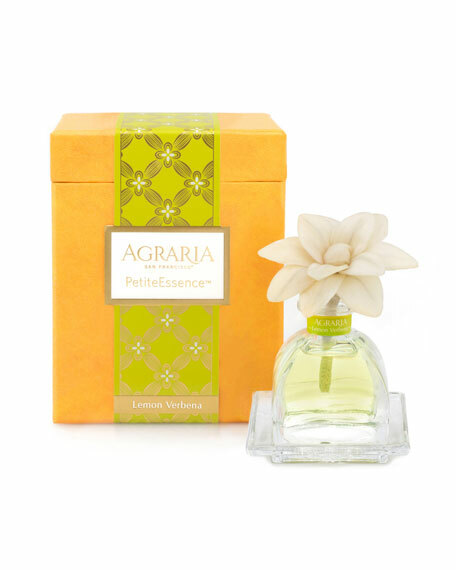 Agraria's NEW PetitEssence diffusers are exact miniatures of our new AirEssence with flowers. Each PetitEssence now includes one flower handmade with slices of balsa wood. As the perfumed essential oils are absorbed through the cotton wick, the flower petals will change to the color of the oils as the flowers become fragrant. 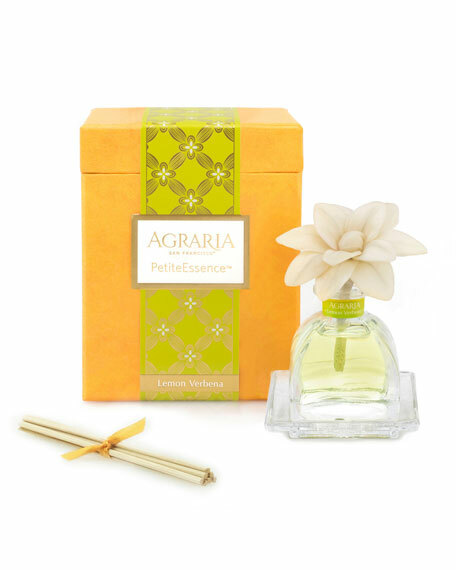 Unlike reed diffusers that require one to "flip the sticks", Agraria PetitEssence flowers remain moist and fragrant. Lemon Verbena fragrance evokes the fresh, clear exuberance of lemon-scented verbena leaves enhanced with a touch of Caribbean Lime and hints of rose and jasmine.